I met model Rebecca Sorkin behind the scenes at the Couture Fashion Week show back in February. I remember standing in the makeup room completely mesmerized by how talented the makeup artists were. Rebecca was given bright pink lips with dark eyebrows which complimented her exotic flower hair piece. Did you know that Rebecca has modeled since she was only 6 years old!? She shared with me that when she was 6-10 years old she modeled for commercials, movies and TV shows. Now, she models for print work, catalogs and runway shows. 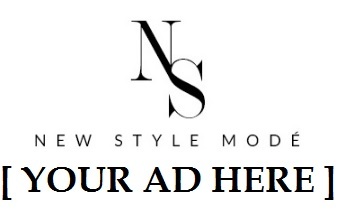 Work with more well-known brands, traveling and meet more designers & models. Speak 3 languages. Right now she speaks both English and Russian. She wants to learn Spanish. Go to a 4 year college and then get her Master’s Degree. Right now she is thinking of studying business psychology. Rebecca’s style is a mix between sophisticated, feminine, street style and of course sporty. After all, she is a cheerleader! Her go to outfit is a bodysuit, ripped jeans and a cardigan. She’s very into wearing highlighter and a cute winged eyeliner. She recommends using Tarte Cosmetics and Benefit makeup. Rebecca is a girl who is comfortable in her own skin. She is confident and she’s fit. She likes working out at home. Her secret? Knee to elbow crunches and Russian twists! She loves taking a drive & eating out with her friends. She also loves hanging out in Manhattan and on the beach. If she could be a fruit or vegetable, she would be an avocado since it’s sweet, flavorful and bright on the inside. You can’t match its flavor or tell what it is like on the inside. #1: Her favorite Disney princess is Snow White. #2: She’s finished all of Shameless and absolutely adores Modern Family. #3: Back in sleep away camp, she used to love rope climbing and hiking in the woods. Rebecca has modeled for New York Fashion Week’s Couture Fashion Week and for Project Runway’s Irena Shabayzea.